Chief of Staff Gadi Eizenkot tells Goldin family that political echelon can get back bodies of Hadar Goldin and Oron Shaul if it desired. 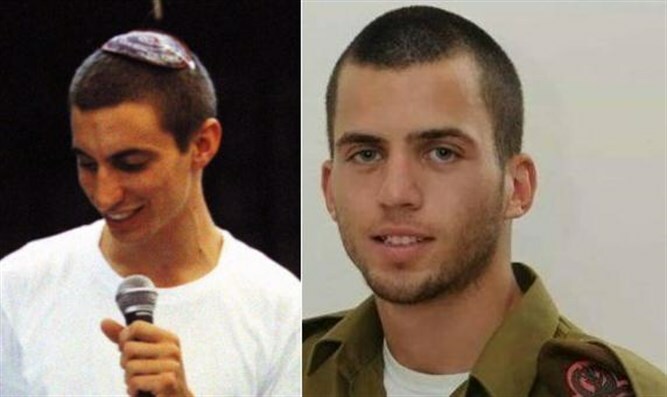 IDF Chief of Staff Gadi Eiznekot said that the political establishment is able to bring about the return of two murdered IDF soldiers – Oron Shaul and Hadar Goldin – whose bodies have been held by Hamas since 2014. Eizenkot's remarks were made during a meeting on Friday with Simcha and Leah Goldin. During the meeting, Eizenkot told the two that "all the projects in Gaza must be stopped until the soldiers and civilians are returned, to stop everything except for the entry of water, food, sewage, and medicines". Eizenkot also stressed that if the political echelon wishes, the boys can be returned within a week. "From the difficult meeting, we concluded that the prime minister does not want to return the soldiers to Israel," said the Goldins following the meeting, "For the third time the prime minister once again played with the families 'feelings and tricked us, and Netanyahu agrees to pay salaries to Hamas' terror apparatus before demanding that the soldiers return to Israel."